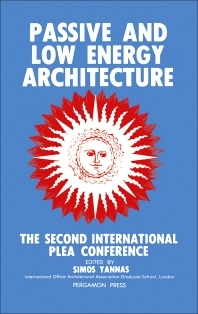 Passive and Low Energy Architecture contains the proceedings of the Second International PLEA Conference held in Crete, Greece, on June 28 to July 1, 1983. The book is organized into four parts as the topics of the conference. The first part brings together papers dealing with case studies of individual buildings or groups of buildings, completed or to be built, and of community planning. The case studies cover examples from 13 countries in Europe, North and Latin America, North Africa, the Middle East, and Asia. The second part contains papers on experimental work and technical developments with passive and low energy systems and components. The third section focuses on the ill-defined but crucial to designers, area of design aids. The fourth section centers on implementation and management of these energy systems, including topics of international programs, education, and training of design professionals. The book will be useful to energy conscious designers, architects, engineers, and planners in this field of interest. A Mediterranean latent heat solar house in "Le Tignet"